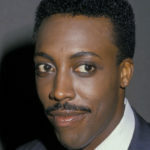 Arsenio Hall is an American actor, comedian and current talk show host. He is best known for hosting The Arsenio Hall Show, a late-night talk show that ran from 1989 until 1994, as well as its successor of the same name, which began in September 2013. Other television shows and films Hall has appeared in are Martial Law, Star Search (host), Coming to America (1988) and Harlem Nights (1989). Hall is also known for his appearance as Alan Thicke’s sidekick on the talk show Thicke of the Night. In 2012, Hall was the winning contestant on NBC’s reality-competition game show Celebrity Apprentice. "I’ve never understood what the upside of marriage would be for me personally." "I know I did the right thing by taking time off to raise my son. But it also came at a price. I turned down many opportunities over the years because I didn’t want to leave him for long periods of time. And in Hollywood, as in any business, the calls stop coming when you don’t answer." "I love being in a relationship, but marriage isn’t for me."